Several leaks have now confirmed that Zombies Chronicles is a DLC 5 addition for Black Ops 3. The additional downloadable content includes remastered versions of 8 zombies maps between World at War, Black Ops and Black Ops 2. Update: Treyarch have confirmed that Zombies Chronicles is real. See the bottom of this post for confirmed details. 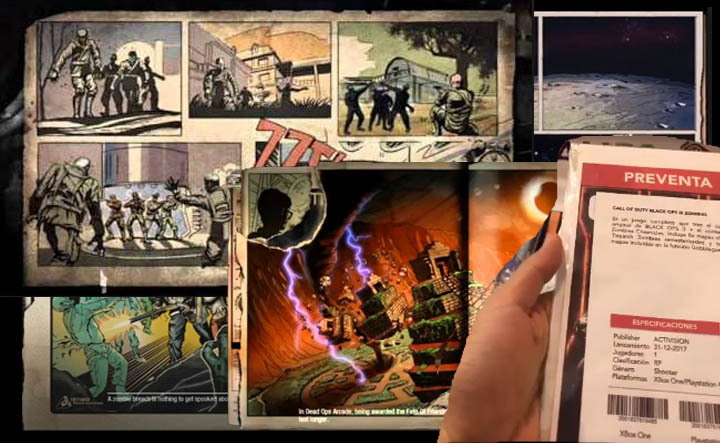 I was originally skeptical when I saw the first leak for Zombies Chronicles, I mean it was a mobile camera shot of a pre-order sheet with basic design and lettering, the typical Black Ops 3 image and the barcode was sliced off the image completely. All in all it looked like a poor attempt at fake DLC 5 material. A few hours later it came as a total surprise when the same person (Vesk) recorded himself walking through a Mexican shopping mall, into a game store and then picking up the DLC 5 pre-order ticket from the shelf and then paying for it! It was then without a doubt that this guy really had leaked the first proof of DLC 5 for Black Ops 3. "Es un juego completo que trae el contenido original de BLACK OPS 3 + el contenido de Zombies Chronicles. Incluye 8 x maps classico de Treyarch zombies remasterizados y todos los mapas includidos en la funcion gobblegum." "The complete game that brings together the original content of BLACK OPS 3 and the content of Zombies Chronicles. Includes 8 classic Treyarch zombies maps that have been remastered and all maps will include the Gobblegum feature"
Activision are of course reintroducing the Gobblegum feature to older maps because of the inevitable influx of income that this generates. With a whole generation of zombies fans, who without a zombies mode in COD WW2, will be playing for the next 12 months in anticipation of Black Ops 4. It's the smart move really. With this information in hand it's perfectly clear that Treyarch will remaster 8 of their most infamous maps and reintroduce the ability to use Black Ops 3's Gobblegum feature in each of them. So which of the 8 maps are we likely to see remastered? I might have thrown in Der Riese but the Giant from BLOPS 3 rules that one out really. Verruckt is a possible contender from World at War but like Nacht der Untoten, the map is too small to offer much replayability. The ones we certainly know won't appear are Tranzit and Die Rise! Now that we know the older maps are getting remastered we can tie this up with the recent leaks for the voice actors. Why include new audio quotes for older maps when we already have the original quotes? Well, one possible reason is that Treyarch want to throw in new Easter Eggs. Audio quotes are the obvious way to signify new leads and verify accomplished steps during those hunts. With many question marks still left over from Blundell's Revelations ending it's also entirely possible that the original crew will go back through time and again alter history for an alternative outcome. Let's not forgot that this is still Blundell and anythings possible!! Zombies Chronicles has no release date at the moment. 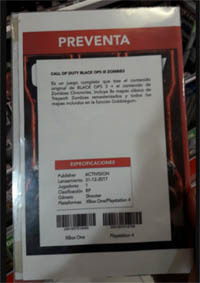 The leaked Mexican DLC did have a "placeholder" date of 30/12/2017 which would never be a real release date considering it's a few days after Christmas. There is a strong possibility that the release date for COD WW2 is 3rd November and Activision will want to avoid the immediate period before and after this. I would therefore guess that DLC 5 will make it's appearance in late summer before the end of Infinite Warfare's DLC season and before the launch of Destiny 2. When I have more information on this I'll update this post. The following maps will all be remastered and brought into the Black Ops 3 game engine. 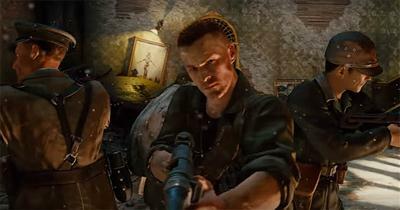 As you can see, these maps follow the story of the original four characters: Richtofen, Dempsey, Nikolai and Dempsey. Zombies Chronicles will launch on 16th May on PS4, it costs $29.99.